It seems like if you can think of it there is probably subscription box for it. If you are searching for fashion related boxes then you are in luck. Here I have selected five subscription boxes that you should check out. 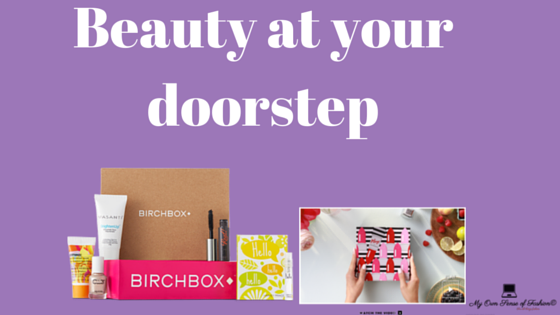 This subscription box is a favorite among makeup mavens and beauty fans alike. Since launching in September 2010, the brand offers subscribers, 4 personalized beauty samples and a lifestyle extra such as hair tie or energy bar. 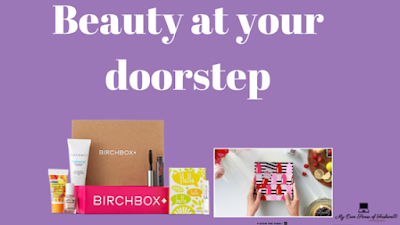 There is also the option to shop for Birchbox exclusive product samples and kits. The brand now specifically tailored to the guys with the launch of Birchbox Man which was launched in April 2012. I think this service is great for men and women who might want to test out a new product before going out to buy out a full-size version. You can check more information by heading over to their website. Have you ever wanted to look red carpet ready without the designer price tag? Then Rent the Runway is the subscription service for you. Subscribers can choose from thousands of styles ranging from dresses to accessories from the biggest designers. You can select two timeframes: four days for a weekend and eight days for if you are going on a vacation. Returns are free and they handle dry cleaning. Another great feature is free backup size options. This is great if you need a bigger size or etc. You can find out more about Rent the Runway by visiting their website. This subscription service was launched by Makeup demonstrator, entrepreneur, and YouTube Personality Michelle Phan in September 2012. For $10 a month, subscribers will receive deluxe samples and full-size beauty products in a Glam Blag. The products are chosen by Phan herself along with her team of stylists. After receiving your first bag, you can watch tutorial videos from the stylist on how to get the Look. I think fans of Phan and her tutorials will want to try it out. Dia and Co. is an online personal styling service catering to women with curves sizes 14-32. After completing their only survey, you will receive an email to schedule your 1st Dia box to be delivered. If for any reason you need to change your scheduled day you send an email to their support. The pro to this box subscription is you can opt –out if you are not satisfied. Just be mindful the $20 non-refundable styling fee. Beauty Army is a personalized beauty and personal care service. It has been featured on Allure, Cosmopolitan, and WWD. Subscribers have their choice of six samples. Monthly subscriptions are $12.00 and $132 for a year is a personalized beauty and personal care service. If you want less than six samples then you chose that as well. What stood out to me is that ability to skip a month and give the gift of a subscription. Now, these are just a few subscription boxes for you to explore. There are so many to choose from. Do you have a favorite subscription box? Let me know by commenting below. All opinion expressed on the blog appears courtesy of Tamarah Brown for My Own Sense of Fashion ©. No use or reproduction may occur without the written consent of the author.